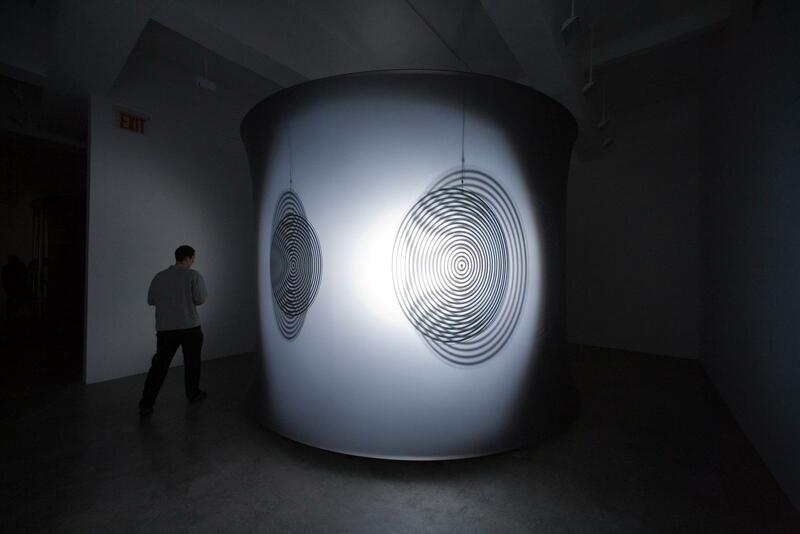 This installation comprises a spiral-shaped steel structure wrapped in a projection screen. Inside hang four glass discs, coated with mirror rings in a concentric pattern, one larger than the other three. 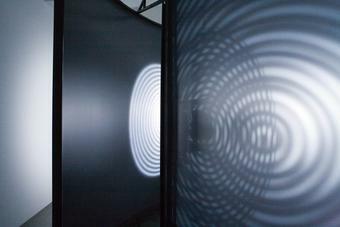 The discs rotate slowly, and a spotlight causes them to cast shadows onto the screen. Due to the overlay of the shadows, a moiré effect is created. 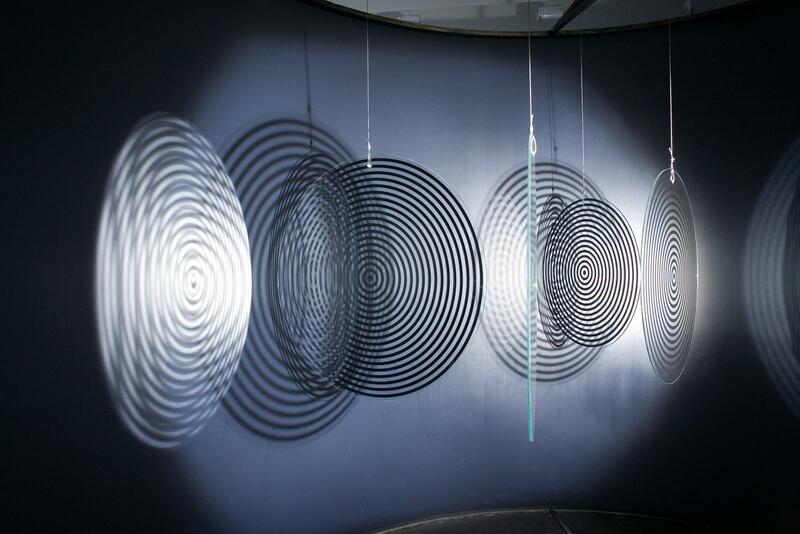 Concurrent to this, light is reflected from the mirrored rings and glides around the curved walls. 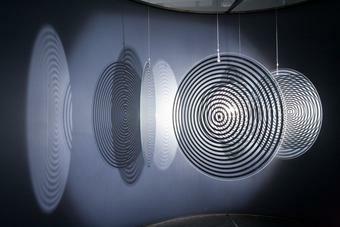 The installation is similar in concept to Triple ripple 2004.